Utility Air Regulatory Group v. EPA, the Supreme Court global warming case decided on June 23, 2014, gave EPA a slap on the wrist and then sent the agency on its merry way to dictate national policy on climate change. As a check on EPA’s ambition, it has all the weight of a feather pillow. As a defense of the separation of powers, it is unbearably light. The Clean Air Act (CAA or Act) authorizes EPA to regulate greenhouse gases from stationary sources through the Act’s Prevention of Significant Deterioration (PSD) preconstruction permit program and Title V operating permit program, as Justice Breyer (joined by Justices Ginsburg, Sotomayor, and Kagan) argued in dissent. The CAA does not authorize PSD and Title V permitting for greenhouse gases, as Justice Alito (joined by Justice Thomas) argued in dissent. Instead of endorsing one of those alternatives, the Court opined, 5-4, that PSD and Title V permitting do apply to greenhouse gases — but only for sources already subject to the permitting programs as “major” emitters of other (“conventional”) air pollutants. This half-way house ruling, authored by Justice Scalia, allows both sides to claim victory. “In Utility Air Regulatory Group v. EPA, the Justices feed several major climate regulations into the wood chipper,” the Wall Street Journal crowed. “Today’s ruling upholds the heart of EPA’s program for regulating carbon pollution from large new industrial facilities under the [PSD] provisions of the Clean Air Act,” stated Rep. Henry Waxman (D-Calif.). Alas, Rep. Waxman is correct. UARG v. EPA is a big win for the agency. As the Court states on p. 10, EPA sought to regulate carbon dioxide (CO2) from facilities accounting for 86% of U.S. stationary-source greenhouse gas emissions. The Court trimmed back EPA’s reach to facilities accounting for 83% of stationary-source emissions. More importantly, the Court’s ruling allows EPA to impose greenhouse gas controls on many diverse sources (power plants, industrial/commercial boilers, pulp and paper mills, cement production facilities, iron and steel mills, refineries, nitric acid plants, and landfills), all in one fell swoop. In contrast, had the Court nixxed PSD for greenhouse gases, EPA could regulate CO2 from stationary sources only one industry at a time by establishing new source performance standards (NSPS), such as its proposed carbon “pollution” rule for new fossil-fuel power plants. The expansion of EPA’s greenhouse gas regulatory program would have slowed to a crawl. Now, thanks to UARG v. EPA, the program will continue to grow at breakneck speed. Consider that the carbon “pollution” rule has been more than three years in the making and is still not final. Litigation might put it and other planned greenhouse gas NSPS on hold for several more years. UARG authorizes EPA to impose CO2 controls on multiple industries between now and President Obama’s departure. This will affect the politics of energy policy. After spending millions on regulatory compliance, industries subject to PSD for greenhouse gases may not want to see their investments go for naught. Worse, some may want EPA to impose CO2 controls on other industries to ‘level the playing field.’ UARG v. EPA will make it harder for future Congresses and the next president to re-limit EPA and roll back Obama’s anti-carbon agenda. The Clean Air Act (CAA or Act) “neither compels nor permits” EPA to require major emitting facilities to obtain PSD and Title V permits “on the sole basis” of their greenhouse gas emissions. Thus, EPA need not “tailor” (amend) the Act’s major-source thresholds to avoid an administrative debacle that would result from requiring permits of small, non-industrial facilities, millions of which emit enough CO2 to qualify as “major” sources. On the other hand, EPA “reasonably interpreted” the Act to require large industrial facilities already subject to PSD for conventional air pollutants to comply with “best available control technology” (BACT) standards for greenhouse gases. Let’s examine those points more or less in order. (1) The CAA does not compel EPA to apply PSD and Title V permitting requirements to stationary sources based solely on their greenhouse gas emissions. The specific question before the Court was whether EPA acted “permissibly” when it determined that its mobile source greenhouse gas regulations “automatically triggered” permitting requirements for “major” stationary sources of greenhouse gases. Whereas only large industrial facilities emit 250 or 100 tons per year of conventional air pollutants (the major source applicability thresholds for PSD or Title V), literally millions of small, non-industrial facilities (churches, schools, hospitals, office buildings, restaurants) combust enough fossil fuel to emit CO2 in the threshold quantities. If, per the statutory definitions, such entities are deemed “major” sources, then, instead of processing 280 PSD permits per year, EPA and state environmental agencies would have to process an estimated 81,000. Instead of reviewing 14,700 Title V permits per year, agencies would have to review an estimated 6.1 million. The ensuing administrative quagmire would paralyze environmental enforcement and economic development alike. Such results are not only an egregious case of regulatory overkill, they also conflict with congressional intent. Congress specifically set the 250/150 ton per year thresholds to exclude small sources from PSD and Title V permitting. To avoid an administrative meltdown (and political firestorm), EPA issued the aforementioned Tailoring Rule, which would exempt small CO2 emitters from PSD and Title regulation by effectively redefining “major” source as a potential to emit 100,000 tons of per year of CO2-equivalent greenhouse gases. UARG v. EPA reverses in part the D.C. Circuit Court of Appeals ruling in Coalition for Responsible Regulation v. EPA (Dec. 2012). The lower court held that EPA was “compelled by the statute” to apply PSD and Title V to greenhouse gases at the statutory thresholds. It also held that petitioners lacked standing to challenge the Tailoring Rule because the latter would relieve regulatory burden and so could do them no harm. In UARG, Justice Scalia argues that the lower court reasoned falsely from the Supreme Court’s landmark global warming case, Massachusetts v. EPA (April 2007). In Massachusetts, the Court held that greenhouse gases meet the Act’s “capacious” definition of “air pollutant,” which the Court construed to mean anything emitted into the air and, thus, “all airborne compounds of whatever stripe.” Since, per Massachusetts, the “Act-wide” definition of “air pollutant” includes greenhouse gases, and since CAA §169 defines a source as major under PSD if it emits 250 tons of “any air pollutant,” EPA and the lower court concluded that sources emitting 250 tons per year of CO2 are subject to PSD permitting requirements. What this reasoning overlooks, Scalia argues, is that statutory context can narrow the meaning of “air pollutant.” The PSD program itself is a case in point. Although CAA §169 defines major source as a facility emitting 250 tons per year of “any” air pollutant, EPA interprets the phrase to mean any regulated air pollutant. Scalia observes: “It is plain as day that the Act does not envision an elaborate, burdensome permitting process for major emitters of steam, oxygen, or other harmless airborne substances” (p. 12). Scalia offers four other examples (pp. 12-13) “where EPA has inferred from statutory context that a generic reference to air pollutants does not encompass every substance falling within the Act-wide definition.” Scalia’s examples are unpersuasive. Yes, in each case, EPA interprets “any air pollutant” to refer, not to all conceivable air pollutants, but only the class of pollutants targeted by the statutory program in which the phrase occurs. But while, in the Regional Haze program, for instance, “any air pollutant” obviously refers to visibility-impairing pollutants, “any air pollutant” does not obviously mean anything other than greenhouse gases in CAA §169. Indeed, as we will see shortly, Scalia believes PSD for greenhouse gases is appropriate for large industrial facilities. There are better grounds for curbing EPA overreach, as Justices Alito and Thomas argue. One is simply that if the PSD and Title V statutes as written lead to absurd results when applied to greenhouse gases, then it should not be assumed Congress authorized such regulation, especially when there is no positive textual evidence Congress did so. The Court should have held that if EPA wants to apply PSD to large industrial sources of CO2, it must ask Congress to pass a statute providing the requisite authority. Such legislation would, of course, be dead on arrival. All the more reason for the Court to stop EPA from playing lawmaker! A second alternative basis for rolling back EPA is that PSD addresses air pollutants that endanger public health or welfare by virtue of their local concentration and effects. Greenhouse gases, which are well-mixed throughout the global atmosphere, do not fit that description. To his credit, Scalia mentions that some petitioners would limit the PSD trigger to “air pollutants with localized effects on air quality” (p. 16, fn. 6). He states that the Court does not “foreclose EPA or the courts from considering those constructions in the future, but we need not do so today.” Is Scalia encouraging petitioners to litigate again? Perhaps. Of 692 bills introduced during the 101st through 111th Congresses containing the term “greenhouse gas,” exactly zero explicitly propose to regulate greenhouse gases via PSD/BACT permitting. Only one bill, the SAFE Climate Act, introduced by Rep. Henry Waxman in the 109th and 110th Congresses, would have authorized EPA to require BACT-like control strategies (“best management practices,” “technology-based requirements”) for greenhouse gases. However, the SAFE Climate Act never got beyond the introduction stage of the legislative process. Despite attracting numerous co-sponsors, no committee approved the bill and the House did not vote on it. The American Clean Energy and Security Act (H.R. 2454), commonly known as the Waxman-Markey cap-and-trade bill, was the only greenhouse gas control legislation ever to pass in a chamber of Congress. ACESA specifically prohibited PSD and Title V permitting based on a source’s greenhouse gas emissions (see Secs. 834 and 835). Title V was added to the CAA in the 1990 amendments. Congress considered and rejected several greenhouse gas regulatory provisions during the debates on the 1990 amendments (see pp. 415-418 of Air Pollution Control Law by Prof. Arnold Reitze). Therefore, Congress never intended for Title V to apply to greenhouse gases. Finally, as Justices Alito and Thomas suggest but do not explain, one can challenge the basic finding of Mass v. EPA that “all airborne compounds of whatever stripe” are “air pollutants” and, thus, potentially subject to regulation under the Act. More about that later. Despite his ascerbic dissent in Mass v. EPA, Scalia now argues as if Massachusetts hit the sweet spot. Massachusetts held that classifying CO2 as an “air pollutant” within the “Act-wide” definition would not compel EPA to regulate motor vehicles in ways that would be “extreme,” “counter-intuitive,” or “contrary to common sense.” At the same time, Massachusetts did not “foreclose the Agency’s use of statutory context” to exclude from a particular regulatory program those airborne substances that may not be “sensibly” regulated by it (p. 14). That begs the question. If EPA is correct that regulation of mobile-source pollutants automatically triggers PSD and Title V for “major” emitters of those pollutants, then EPA’s greenhouse gas motor vehicle standards compel the agency to regulate stationary sources in ways that are extreme, counter-intuitive, and contrary to common sense. Scalia does not consider that hypothesis, as it would make Mass v. EPA the font of absurd results. If EPA’s understanding of the PSD trigger is correct, then the Massachusetts Court was myopic (or disingenuous) in proceeding as if the case dealt solely with motor vehicle emissions. In Massachusetts, petitioners assured the Court that Title II of the CAA (mobile sources) is “separate from” Title I (stationary sources). The case dealt solely with greenhouse gas emissions from new motor vehicles, they claimed. In reality, Titles I and II are interconnected, linked not only by the PSD triggering mechanism but also by similarly-worded endangerment provisions requiring or authorizing air pollution regulations (see pp. 4-6 of this paper for a list of endangerment provisions). Thus, the fundamental question at issue in Massachusetts, although never acknowledged by the Court, is whether Congress, in 1970, authorized EPA to regulate greenhouse gases throughout the economy under the Act as a whole. The question answers itself, because Congress never signed off on any such open-ended greenhouse gas regulatory mandate. No wonder the Court’s ‘progressives’ allowed petitioners to narrow the focus to new tailpipes! Scalia concludes that “there is no insuperable textual barrier to EPA’s interpreting ‘any air pollutant’ in the permitting triggers of PSD and Title V to encompass only pollutants emitted in quantities that enable them to be sensibly regulated at the statutory thresholds, and to exclude those atypical pollutants that, like greenhouse gases, are emitted in such vast quantities that their inclusion would radically transform those programs and render them unworkable as written” (pp. 15-16). In other words, the statute does not “compel” EPA to interpret the PSD trigger as it has done consistently since 1978. How could EPA have been wrong for so long about the PSD trigger without anyone noticing until now? Is it not more likely that the Court in Massachusetts wrongly decided that the 1970 Clean Air Act, a statute enacted years before global warming was a gleam in Al Gore’s eye, “speaks directly” to the issue of greenhouse gases and global climate change? (2) EPA lacks discretionary authority to apply PSD and Title V permitting requirements to stationary sources based solely on their greenhouse gas emissions. Scalia next considers whether EPA may, as a matter of discretion, apply PSD and Title V to greenhouse gases at the major source statutory thresholds. Here Scalia is on strong ground. Since “requiring permits for sources based solely on their emission of greenhouse gases at the 100- and 250-tons-per-year levels set forth in the statute would be ‘incompatible’ with ‘the substance of Congress’ regulatory scheme’” (p. 18), “it would be patently unreasonable — not to say outrageous — for EPA to insist on seizing expansive power that it admits the statute is not designed to grant” (p. 20). Isn’t this also an argument that Congress did not authorize PSD and Title V regulation of greenhouse gases? After all, there is zero positive evidence, either in the statutory text or legislative history, that Congress intended for EPA to apply PSD and Title V to CO2 emitters, whether large or small. If regulating CO2 under the PSD and Title V provisions as written is “incompatible” with the “substance of Congress’s regulatory scheme,” what more do we need to know? (3) The Tailoring Rule is impermissible. The Tailoring Rule goes “well beyond” the bounds of EPA’s statutory authority, according to Scalia. EPA tries to make the Tailoring Rule look like an exercise in “enforcement discretion,” as if the rule merely scales back the universe of sources to match agencies’ limited administrative resources. But if that’s all the Tailoring Rule did, small “major” sources would still be vulnerable to citizen suits for failing to meet their PSD obligations. The Tailoring Rule thus purports to “alter” PSD requirements and “establish with the force of law that otherwise-prohibited conduct will not violate the Act” (p. 22). EPA endeavors to change not only its own enforcement behavior but also the law as it applies to private parties. Rewriting law is above any administrative agency’s pay grade. (4) Sources already subject to BACT and PSD for conventional air pollutants are also subject to BACT and PSD for greenhouse gases. The issue here concerns EPA’s authority to regulate CO2 emissions from “anyway sources” — facilities subject to BACT and PSD anyway due to their emissions of conventional air pollutants at or above the major source thresholds. To obtain a PSD permit, a new or modified source must demonstrate compliance with emission limitations reflecting a case-specific analysis of the facility’s “best available control technology” options. BACT analyses take into account the “energy, environmental, economic impact, and other costs” of different emission control options. Scalia is sympathetic to petitioners who argue that BACT has traditionally been about “end-of-stack controls ‘such as catalytic converters or particle collectors,'” but applying it to CO2 would regulate energy use, enabling agencies “to control ‘every aspect of a facility’s operation and design,’ right down to the ‘light bulbs in the factory cafeteria.’” Such micromanagement would go beyond anything Congress intended. Apparently, he views carbon capture and storage (CCS) as a lower-cost or less burdensome alternative to energy-efficiency upgrades. Yet as a control strategy for coal power plants, CCS is currently exhorbitant and unaffordable absent hefty taxpayer subsidy. It may be decades before CCS is a commercially-viable control technology for sources other than coal power plants. Scalia also contends that BACT regulation is cost-constrained because “it has long been held that BACT cannot be used to order a fundamental redesign of a facility” (p. 26). EPA’s guidance document is far less categorical on this point. According to EPA, the “initial list” of BACT options “need not include options that would fundamentally redefine the source,” such as fuel-switching from coal to natural gas. “Ultimately, however, a permitting authority retains the discretion to conduct a broader BACT analysis and to consider changes in the primary fuel in Step 1 of the analysis” (Permitting Guidance, pp. 27-28). In this connection, recall that EPA’s carbon “pollution” rule would establish new source performance standards (NSPS) for CO2 that effectively require power generators planning to build new coal electric generating units to fuel-switch and build new natural gas combined cycle power plants instead. BACT, which specifies the “best” control option an individual facility can achieve, is typically more stringent than NSPS, which set emission limits for categories of sources, and by law may not be less stringent than the corresponding NSPS. So either Justice Scalia is intimating that the Court would find the carbon “pollution” rule unlawful, or BACT for CO2 may require fuel switching and fundamental redefinition of the source. Similarly, Scalia observes that “EPA has long interpreted BACT as required only for pollutants that the source itself emits,” hence that “BACT may not be used to require ‘reductions in a facility’s demand for energy from the electric grid’” (p. 27). Yet, as explained in previous posts, EPA’s performance standards for existing power plants, the so-called Clean Power Plan, aim to reduce power-sector CO2 emissions chiefly through fuel-switching and demand reduction. Again, BACT is typically more stringent than NSPS, which in turn are more stringent than performance standards for existing sources. So either Justice Scalia is intimating the Court would find the Clean Power Plan unlawful, or BACT for CO2 may require reductions in demand for grid-based power. In short, BACT for CO2 might turn out to be as costly and intrusive as petitioners fear. No major emitting facility on which construction is commenced after August 7, 1977, may be constructed in any area to which this part applies unless . . . the proposed facility is subject to the best available control technology for each pollutant subject to regulation under this chapter emitted from, or which results from, such facility. Whereas the dubious breadth of “any air pollutant” in the permitting triggers suggests a role for agency judgment in identifying the subset of pollutants covered by the particular regulatory program at issue, the more specific phrasing of the BACT provision suggests that the necessary judgment has already been made by Congress. This assessment is problematic in two ways. First, Scalia ignores the qualifying phrase “in any area to which this part applies.” The word “area” refers to a national ambient air quality standards (NAAQS) attainment area. There are no NAAQS for greenhouse gases. Although EPA has adopted BACT requirements for non-NAAQS air pollutants, all BACT pollutants affect public health or welfare by virtue of local concentration and effect, and in that respect are similar to NAAQS pollutants. Scalia’s contention that Congress has already made the “necessary judgment” to apply BACT to CO2 is a stretch, as Justices Alito and Thomas argue. Second, if EPA has the leeway to exempt small “major” CO2 emitters from BACT regulation, why does it not have the leeway to exempt large “major” CO2 emitters? Conversely, if Congress has already made the “necessary judgment” that BACT applies to “each” air pollutant “subject to regulation under this chapter,” then how can EPA have the discretion to exempt any “major” emitters of said pollutants from BACT controls? Our narrow holding is that nothing in the statute categorically prohibits EPA from interpreting the BACT provision to apply to greenhouse gases emitted by “anyway” sources (p. 28). As Scalia acknowledges, however, “the potential for greenhouse-gas BACT to lead to an unreasonable and unanticipated degree of regulation” cannot be denied (p. 28). Shouldn’t an agency’s exercise of potentially-destructive power rest on a clear delegation of statutory authority rather than on the absence of a categorical prohibition? The notion that agencies may do anything not expressly prohibited turns the central principle of administrative law upside down. Justice Stephen Breyer, whose dissenting opinion is joined by Justices Ginsburg, Sotomayor, and Kagan, also struggles with the issue of how to apply PSD and Title V to CO2 without producing absurd results. It’s a bit ironic for Breyer to charge Scalia with making an “atextual” exception for greenhouse gases when he proposes an atextual exception for otherwise “major” sources. All the more so considering the terms “greenhouse gas” and “greenhouse effect” appear nowhere in the Act, much less in the PSD and Title V provisions. EPA’s entire greenhouse gas regulatory program is atextual. Breyer misses the forest for the trees. There would be no need for atextual exceptions, for either pollutants or sources, had the Court not conferred upon EPA an atextual power to steamroll through congressional gridlock and enact national policy on climate change. While agreeing with Scalia that EPA’s greenhouse gas motor vehicle standards do not trigger PSD and Title V permitting and that the agency may not amend the CAA to avoid absurd results, Alito does not agree that “anyway” sources must install BACT for greenhouse gases. Scalia’s reasoning is conflicted, he argues. On the one hand, Scalia contends that “any air pollutant” does not include CO2 when determining whether EPA’s greenhouse gas motor vehicle standards trigger PSD and Title V. On the other hand, Scalia contends that “each air pollutant” does include CO2 when determining whether a source already in the PSD program must comply with BACT. “The Court’s literalism is selective and it results in a strange and disjointed regulatory scheme,” Alito contends (p. 4). Under the Court’s interpretation, a source can emit an unlimited quantity of greenhouse gases without triggering the need for a PSD permit. Why might Congress have wanted to allow this? The most likely explanation is that the PSD permitting process is simply not suited for use in regulating this particular pollutant. And if that is so, it makes little sense to require the installation of BACT for greenhouse gases in those instances in which a source happens to be required to obtain a permit due to the emission of a qualifying quantity of some other pollutant that is regulated under the Act. More importantly, BACT analysis is “fundamentally incompatible” with greenhouse gases in two main ways. First, BACT is manifestly designed to address the effects of particular sources on local air quality. BACT is determined on a case-by-case basis (CAA §169(3)), “and this necessarily means that local conditions must be taken into account.” Accordingly, a BACT analysis must consider “the ambient air quality . . . at the site of the proposed major emitting facility and in the area potentially affected by the emissions from such facility for each pollutant regulated” (CAA §165(e)(3)(B)). The Act also requires a public hearing on “the air quality at the proposed site and in areas which may be affected by emissions from such facility for each pollutant subject to regulation under [the Act] which will be emitted from such facility” (§§165(a)(2), (e)(1)). Consequently, if BACT applies to greenhouse gases, “the Act demands that the impact of these gases in the area surrounding a site must be monitored, explored at a public hearing, and considered as part of the permitting process.” Those requirements have no rational application to greenhouse gases, the “effects” of which are “global, not local.” EPA acknowledges as much, declaring that “PSD permit applicants and permitting officials may disregard these provisions of the Act” (Tailoring Rule, p. 31520). Greenhouse gases do not fit into the BACT regulatory framework. EPA cannot apply BACT to CO2 without violating statutory requirements. Second, as part of the case-by-case analysis required by BACT, a permitting authority must balance the environmental benefit expected to result from the installation of an available control measure against adverse consequences that may result, including any negative impact on the environment, energy conservation, and the economy. And the EPA itself has admitted that this cannot be done on a case-by-case basis with respect to greenhouse gases (p. 5). Alito here alludes to the fact that even substantial, economy-wide greenhouse gas reductions over many decades may have no discernible impact on global temperatures, much less on weather patterns, polar bear populations, or public health and welfare. The benefits, if any, of CO2 reductions achieved by a particular facility are close to infinitessimal. In contrast, the cost per facility of complying with BACT could be millions of dollars. In a BACT determination, the permitting agency is supposed to balance the benefit of a source installing a particular technology against the negative effects, including economic impacts, likely to result from that control option. However, “EPA admits that it is simply not possible for a permitting authority to calculate in any meaningful way the degree to which any potential reduction in greenhouse gas emissions from any individual source might reduce” climate-related risks. On a facility-by-facility basis, the benefits of greenhouse gas reduction can never come close to justifying costs (p. 7). Other than pointing to Mass. v. EPA as the source of EPA’s regulatory contortions and Scalia’s inconsistencies, Alito does not explain where the Massachusetts Court went astray. His self-restraint is understandable, since the Court accepted Cert in UARG only on the condition that petitioners would not re-litigate Massachusetts. Nonetheless, the Justices could not avoid discussing Massachusetts. Justice Scalia mentions it a dozen times; Justice Breyer, four times; and Justice Alito, four times. The Justices can’t ignore Massachusetts, because that decision was a watershed event in the history (and decline) of the separation of powers. Invoking Massachusetts, EPA has (a) enacted climate policies that would be dead on arrival if proposed in legislation submitted to Congress, and (b) endeavored to avert an administrative debacle of its own making by amending the Act. 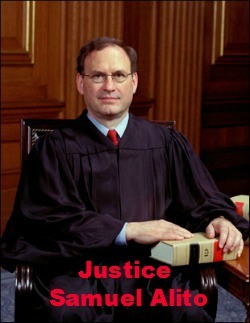 I do not know how Justice Alito would explain the Court’s errors in Mass. v. EPA. Here’s my two cents. The terms “greenhouse gas” and “greenhouse effect” appear nowhere in the text of the 1970 Clean Air Act, which also contains no Title, section, or subsection on global warming or global climate change. The Court’s conceit that the 1970 Clean Air Act “speaks directly” to the issue of greenhouse gases and global climate change is unhistorical nonsense. Similarly, the 1990 CAA mentions “global warming” only once, in another nonregulatory provision, §602(e), which requires EPA to “publish” (i.e. study) the “global warming potential” of ozone-depleting substances. A similar admonition immediately follows: “The preceding sentence shall not be construed to be the basis of any additional regulation under” the Act. The caveates in §§103(g) and 602(e) make sense only if lawmakers wanted to clarify that, notwithstanding the 1990 CAA’s references to “carbon dioxide” and “global warming potential,” Congress was not authorizing EPA to regulate CO2 and other gases for climate change purposes. As should go without saying, none of the lawmakers engaged in the 1990 CAA amendment debates believed Congress in 1970 already delegated to EPA the power to regulate CO2, methane, and other substances based on global warming potential. The term “air pollutant” means any air pollution agent or combination of such agents, including any physical, chemical, biological, radioactive (including source material, special nuclear material, and byproduct material) substance or matter which is emitted into or otherwise enters the ambient air. Such term includes any precursors to the formation of any air pollutant, to the extent the Administrator has identified such precursor or precursors for the particular purpose for which the term “air pollutant” is used. The Court construed the provision to mean that anything emitted is an “air pollutant.” Since greenhouses gases are emitted, the Court reasoned, EPA must establish greenhouse gase motor vehicle standards under CAA §202 if the agency finds that the associated “air pollution” may reasonably be anticipated to endanger public health or welfare. But to reach this conclusion, the Court had to give short shrift to a key term in the first sentence of §302(g) and ignore the entire second sentence. The first sentence of §302(g) defines an air pollutant as an “air pollution agent” emitted into, or otherwise entering, the ambient air. A common sense reading suggests that “air pollution agent” is a qualifier – a criterion for distinguishing pollutants from non-pollutants. To be an air pollutant, a substance must not only be “emitted” or “enter,” it must also be an “air pollution agent.” In other words, it must be a substance that causes or contributes to air pollution — something that makes air less clean. After all, the provision sets forth the most elementary definition of the Clean Air Act. It’s far from obvious that CO2 is an air pollution “agent.” CO2 is as clear and odorless as oxygen. Yes, it is a greenhouse gas, but so is water vapor, which is not exactly the first thing that pops into mind when we hear the term “air pollutant.” CO2 is non-toxic to humans and animals at multiple times current ambient levels or any concentration reasonably anticipated from fossil-fuel combusion over many centuries. It is a normal and natural constituent of clean air. CO2 is, in addition, a basic building block of the planetary food chain. Plants use CO2 to construct their tissues, and all animals depend on plants, directly or indirectly, for food and habitat. Elevated concentrations help most green things grow faster and larger, use water more efficiently, and resist environmental stresses. Clearly, CO2 is unlike any other substance EPA has previously regulated as an “air pollutant.” President G.W. Bush’s EPA was well within its Chevron deference rights to conclude that CO2 is not an air pollutant for regulatory purposes under the CAA. The second sentence of 302(g) stipulates that “precursors” of previously designated air pollutants are also air pollutants. This sentence would be superfluous if anything emitted is ipso facto an air pollutant, because precursors form air pollutants only after being emitted. The second sentence makes sense only if substances must have other qualities in addition to being airborne to be classified as air pollutants. Judges are not supposed to assume that lawmakers pad statutes with superfluous verbiage. They are supposed to try to give effect to every sentence, indeed, every word, on which the case depends. The second sentence of §302(g) is not easily reconciled with the Court’s reading of the first sentence. The Court not only did not address this issue, it simply ignored the second sentence, as if it had no bearing the definition of “air pollutant.” That’s not kosher. The term “air pollutant” means any air pollutant emitted into or otherwise entering the ambient air. That is not what Congress wrote, and is not likely what Congress meant, because circular definitions define nothing. Indeed, if anything emitted into or entering the ambient air is an “air pollutant,” then even absolutely clean, pollution-free air is an “air pollutant” the moment it moves or circulates. That is absurd. Absurd regulatory premises lead to absurd regulatory results. Finally, as noted above, given the interconnectedness of the CAA, what the Court actually affirmed in Massachusetts is that Congress in 1970 authorized EPA to regulate greenhouse gases throughout the economy under the Act as a whole. That thesis is so implausibly unhistorical that petitioners and the Court’s ‘progressives’ had to hide it from view. Although future litigation may chip away at EPA’s purloined power to dictate climate policy, seven of the nine Justices are either too deferential to agency expertise, too activist, or too reluctant to admit the Court’s fallibility to re-limit EPA in any serious way. The separation of powers will be restored, or at least partially repaired, only if the people and their elected representatives demand it. Halting and reversing EPA’s Court-abetted metamorphosis into a Super Legislature should be a major issue of the 2014 and 2016 elections.